Blog Amazon Web Services What are the storage solutions offered by Amazon Web Services (AWS) ? 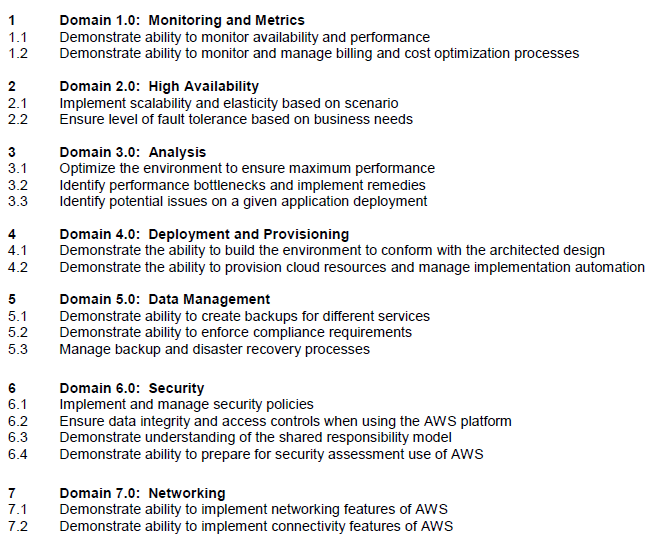 What are the storage solutions offered by Amazon Web Services (AWS) ? 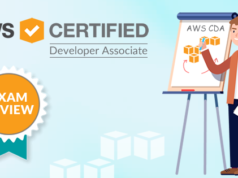 Are you preparing for AWS Certified SysOps Administrator – Associate certification exam? Are you ready to pass this exam? 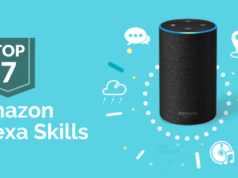 In this blog, we are writing a series of articles on topics which are covered in the AWS Certified SysOps Associate certification exam. You can subscribe to us for receiving further updates on this topic. The SysOps Associate certification exam is the hardest exam at the associate certification level. We would recommend you pass both solution architect associated certification exam and developer associated certification exam first before of taking this exam. You can download the related AWS Certified SysOps Administrator – Associate Level Exam Blueprint for more detail about it. In this article, we are going to explain about the topic that addresses the “demonstrate the ability to backups for different services” as highlighted in the AWS Blueprint from the above exam guide. Cloud storage is a critical component of cloud computing because it holds the information used by applications. Big data analytics, data warehouses, Internet of Things, databases, and backup and archive applications all rely on some form of data storage architecture. Cloud storage is typically more reliable, scalable, and secure than traditional on-premises storage systems. AWS offers a complete range of cloud storage services to support both application and archival compliance requirements. Amazon Web Services (AWS) storage solutions are designed to deliver secure, scalable, and durable storage for businesses looking to achieve efficiency and scalability within their backup and recovery environments, without the need for an on-premises infrastructure. Amazon Web Services (AWS) provides low-cost data storage with high durability and availability. AWS offers storage choices for backup, archiving, and disaster recovery use cases and provides a block, file, and object storage. A service that provides scalable and highly durable object storage in the cloud.Amazon Simple Storage Service (Amazon S3) is object storage with a simple web service interface to store and retrieve any amount of data from anywhere on the web. It is designed to deliver 99.999999999% durability, and scale past trillions of objects worldwide.Customers use S3 as primary storage for cloud-native applications; as a bulk repository, or “data lake,” for analytics; as a target for backup & recovery and disaster recovery; and with serverless computing. A service that provides low-cost highly durable archive storage in the cloud.Amazon Glacier is a secure, durable, and extremely low-cost cloud storage service for data archiving and long-term backup. Customers can reliably store large or tiny amounts of data for as little as $0.004 per gigabyte per month, significant savings compared to on-premises solutions. A service that provides scalable network file storage for Amazon EC2 instances.Amazon Elastic File System (Amazon EFS) provides simple, scalable file storage for use with Amazon EC2 instances in the AWS Cloud. Amazon EFS is easy to use and offers a simple interface that allows you to create and configure file systems quickly and easily.Amazon EFS is designed for high availability and durability and provides performance for a broad spectrum of use cases, including web and content serving, enterprise applications, media processing workflows, container storage and Big Data and analytics applications. A service that provides block storage volumes for Amazon EC2 instances.Amazon Elastic Block Store (Amazon EBS) provides persistent block storage volumes for use with Amazon EC2 instances in the AWS Cloud. Each Amazon EBS volume is automatically replicated within its Availability Zone to protect you from component failure, offering high availability and durability. Amazon EBS volumes offer the consistent and low-latency performance needed to run your workloads. Temporary block storage volumes for Amazon EC2 instances. An on-premises storage appliance that integrates with cloud storage. A service that transports large amounts of data to and from the cloud. A service that provides a global content delivery network (CDN). Independent of the AWS Cloud storage that you choose, you must automate your administrative tasks related to backup and restore your data, guarantying its availability. Amazon S3 is often used as a highly durable, scalable, and secure solution for backup and archiving of critical data. You can easily move cold data to Amazon Glacier using lifecycle management rules on data stored in Amazon S3. You can also use Amazon S3 cross-region replication to automatically copy objects across S3 buckets in different AWS Regions asynchronously, providing disaster recovery solutions for business continuity. Once data is stored in S3, it can be automatically tiered into lower cost, longer-term cloud storage classes like S3 Standard – Infrequent Access and Amazon Glacier for archiving. S3 Standard – IA is ideal for data that is accessed less frequently, but requires rapid access when needed. Standard – IA is ideally suited for long-term file storage, older data from sync and share, backup data, and disaster recovery files. For S3 data, that best practice includes secure access permissions, Cross-Region Replication, versioning and a functioning, regularly tested backup. Amazon S3 enables you to utilize Amazon Glacier’s extremely low-cost storage service as storage for data archival. Amazon Glacier is an extremely low-cost storage service that provides secure, durable, and flexible storage for data backup and archival. You can backup the data on your EBS volumes to Amazon S3 by taking point-in-time snapshots. Snapshots are incremental backups, which means that only the blocks on the device that have changed after your most recent snapshot are saved. This minimizes the time required to create the snapshot and saves on storage costs. When you delete a snapshot, only the data unique to that snapshot is removed. Active snapshots contain all the information needed to restore your data to a new EBS volume. Snapshots that are taken from encrypted volumes are automatically encrypted. Volumes that are created from encrypted snapshots are also automatically encrypted. All EBS snapshot can be managed by CLI. There are other ways to storage data into AWS, one of them is saving data into a database or database service. 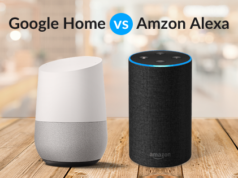 Amazon AWS offers a database managed solution called RDS (Amazon Relational Database Service), where the information availability is very relevant. Amazon RDS creates and saves automated backups of your DB instance. Amazon RDS creates a storage volume snapshot of your DB instance, backing up the entire DB instance and not just individual databases. Amazon RDS creates automated backups of your DB instance during the backup window of your DB instance. Amazon RDS saves the automated backups of your DB instance according to the backup retention period that you specify. By default, the backup retention period is 7 days. If necessary, you can recover your database to any point in time during the backup retention period. When you create a DB Snapshot, you need to identify which DB instance you are going to back up, and then give your DB snapshot a name so you can restore from it later. If you have IAM database authentication enabled, then this setting is inherited from the source DB instance. Amazon Glacier is a secure, durable, and extremely low-cost cloud storage service for data archiving and long-term backup. Amazon Glacier is optimized for infrequently accessed data, where a retrieval time of several hours is suitable. You can backup the data on your EBS volumes to Amazon S3 by taking point-in-time snapshots. Snapshots are incremental backups. DB snapshot A user-initiated point backup of a DB instance. EBS snapshot A backup of your volumes that is stored in Amazon S3. You can use these snapshots as the starting point for new Amazon EBS volumes or protect your data for long-term durability. In this article, we have explained about different AWS cloud storage solutions and backup and recovery processes related to them, sharing best practices and usages to improve the availability of your enterprise data.